Karl Butler was honoured by IO Radio, a community radio station based in Ipswich, at their Annual Awards Show. 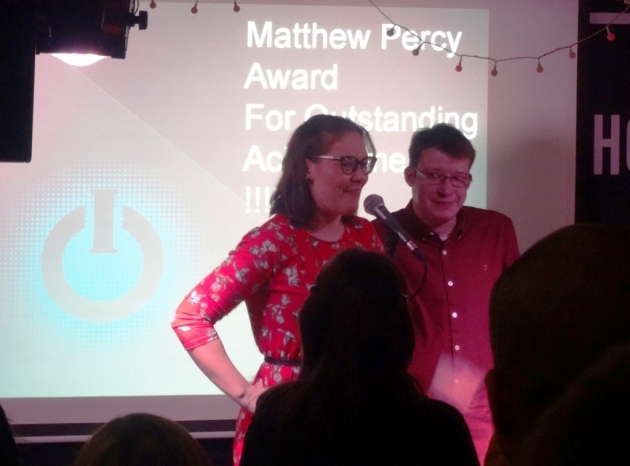 He received the Matthew Percy Award, which recognises outstanding achievement. Karl has been volunteering at IO Radio for the past 10 years. He won the award because of his numerous achievements in the pursuit of help others. These achievements include creating a club night for those with additional needs, supporting those who need it at the station, and working as a disability advisor for the NHS. Karl is also a champion with Ace Anglia and been volunteering with them for years. We would all like to congratulate Karl on a well deserved reward. The Ipswich Star has written a really good article on Karl, you can read it here.